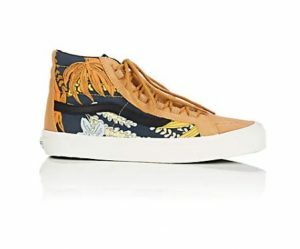 **Van’s Men’s Sk8-Hi 75 LX Sneakers from barneys. Price: $39.00. Discount: $121.00. Categories: Fashion, Shoes, Sneakers, Van’s. Deal Rating: 5 Stars out of 5. Store Rating: 5 Stars out of 5. Deal Recommendation: Recommended. Available Until: Limited Quantity. Thoughts: 76% Off Clearance – Van’s Men’s Sk8-Hi 75 LX Sneakers. Deal Score: 100 out of 100.